With crime forever rising, and police services and resources stretched to the limits, police services cannot properly investigate crimes committed in and around the workplace or regularly patrol individual or company properties. 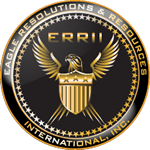 Security Operations, Executive (SOE), a subsidiary of ERRII can assist you in both the prevention of crime and the detection of offenders committing those crimes. Our SOE field security and close protection officers are experienced in the complexities of what is modern day personal protection and safety. Our SOE team can provide executive close protection officers on a global basis. Each close protection officer used has been vetted by our employee screening department to ensure the best possible officer for your particular situation. No business or organization is immune from risk. The hazards each entity faces breaks down into two types, human; people inside and outside the organization or facility, and catastrophic problems; such as, fires, explosions, earthquakes, hurricanes and floods. Having the appropriate plans and countermeasures in place could determine if your business or organization will survive or fail. As important risk mitigation and crisis management is to critical infrastructure protection, such as utilities or chemical plants, it is equally important to an organization facing labor strike, kidnapping, extortion, or cyber terrorism. How you plan for it makes all the difference. As threats continue to evolve so must your planning and countermeasures. SOE can assist you in your overall protection of assets by mitigating your risk through identification of vulnerabilities, preventive practices, procedures, and countermeasures. SOE understands that security choices made today can affect individuals, companies, properties, and institutions for years to come. This is why we have dedicated years of experience to security management. We use results-oriented techniques that provide you with a comprehensive and cost effective approach to your security objectives. From initial conception to implementation, our ERRII consultants guide you in developing a cost-effective solution. Every solution is custom-tailored to offer exactly—and only—what is needed. Complete assessment of security functions, programs, and installations already in place to determine efficiency and ability to meet objectives. Recommends solutions for closing security gaps, improving efficiency, reducing program costs, and solving other problems identified in the course of the assessment. Design, development, and implementation of a broad range of programs for improved protection of employees and assets. Programs are created to meet a company's specific needs and may address a variety of issues, including crisis management, workplace violence prevention, protection of proprietary information, and employee awareness. Analysis of the security force operations in terms of staffing levels and training requirements, as well as the adequacy of the program in general. Assist in developing RFPs (request for proposal) and evaluating bids in terms of costs and value. Provide contract-monitoring process to ensure quality service. The contract monitor will hold meetings, handle complaints, ensure training standards are met, review reports, oversee billing, and conduct inspections. Business and Organizational Countermeasures Against Terrorism. Assessment of security needs, applying systems, personnel, and procedures. Evaluation of access control systems, surveillance systems, exterior lighting, and guard force responsibilities. Offered to meet the demand of smaller, entrepreneurial firms that cannot justify the expense of a full-time security director. SOE provides an outsourced "Security Director," who are available twenty-four hours a day. The power of outsourced security solutions will allow you to work on your profit making centers, enhance productivity, reduce liability, and mitigate risks. The illegal and unauthorized activity going on in companies and organizations continues to be costly and commonplace. Attacks, sabotage, threats, abuse, computer crimes, loss of sensitive data, disruption of service, corruption of data, loss of customer trust, damaged reputation, employee breaches, and liability are some of the major issues that need to be addressed. Theses risks associated with information systems evolve with technological advances, creating a changed risk environment. Information Systems Security provides you with proactive solutions to mitigate risks, and meet your overall protection of assets goals and objectives. SOE assists with the consulting expertise regarding the management and application practices of computers, network, information security, and investigation of computer crimes. We help you apply continuous process improvements to the implementation of information security. We use a basic concept that requires balance between ease of use, cost, capability, flexibility, performance, and protection. We help you build and install a process that is right for your company and your company's goals.